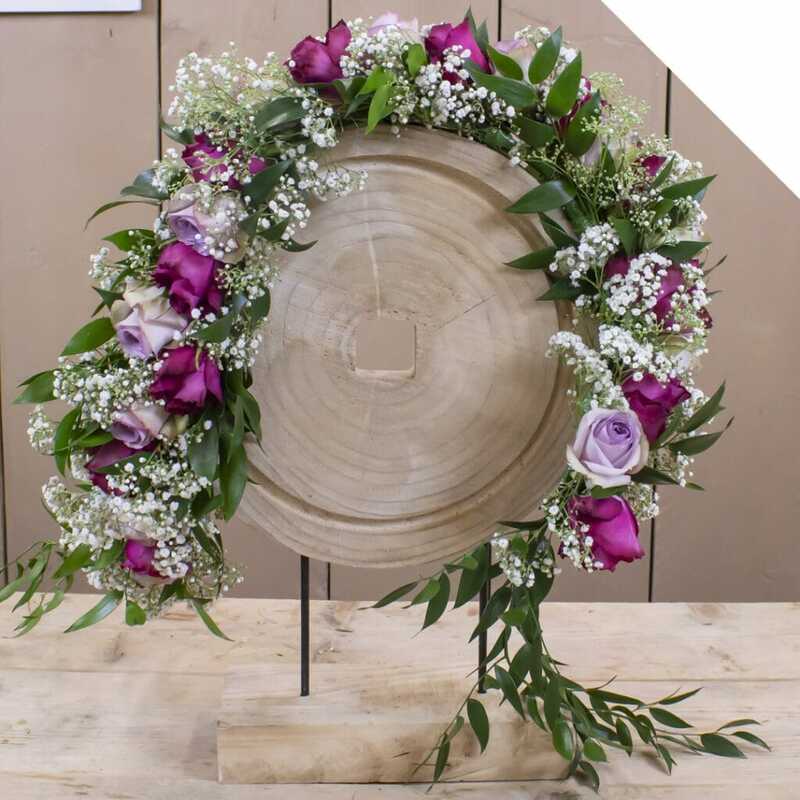 The beautiful Rose Prince of Persia and Rose Nightingale are combined together with Ruscus and Gypsophila in this romantic garland with roses. 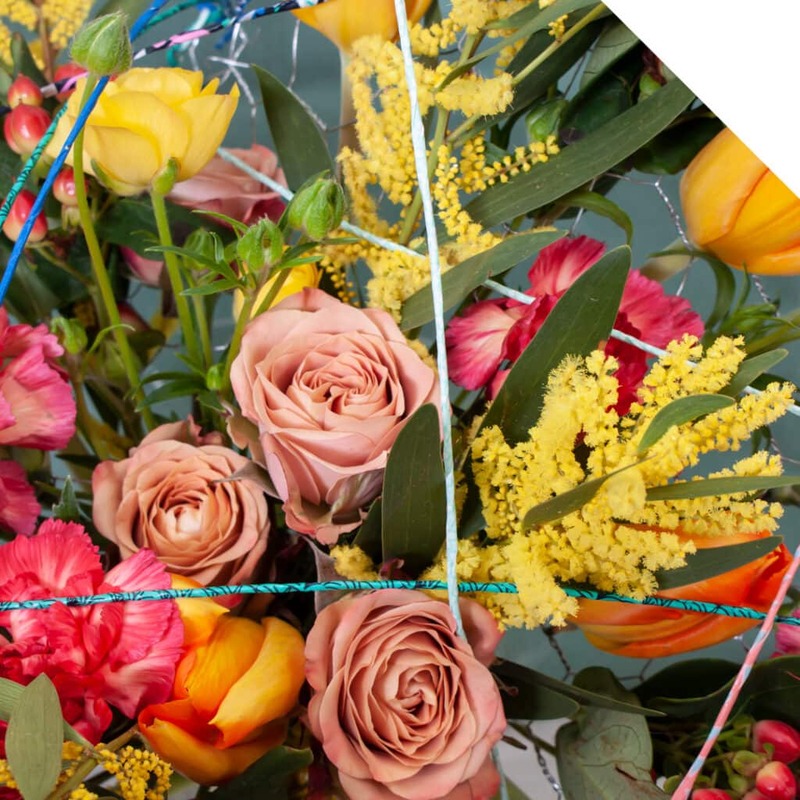 Surprise yourself and your customers not with only that bouquet or single flower, but use this garland as well for festive decoration and love expression. 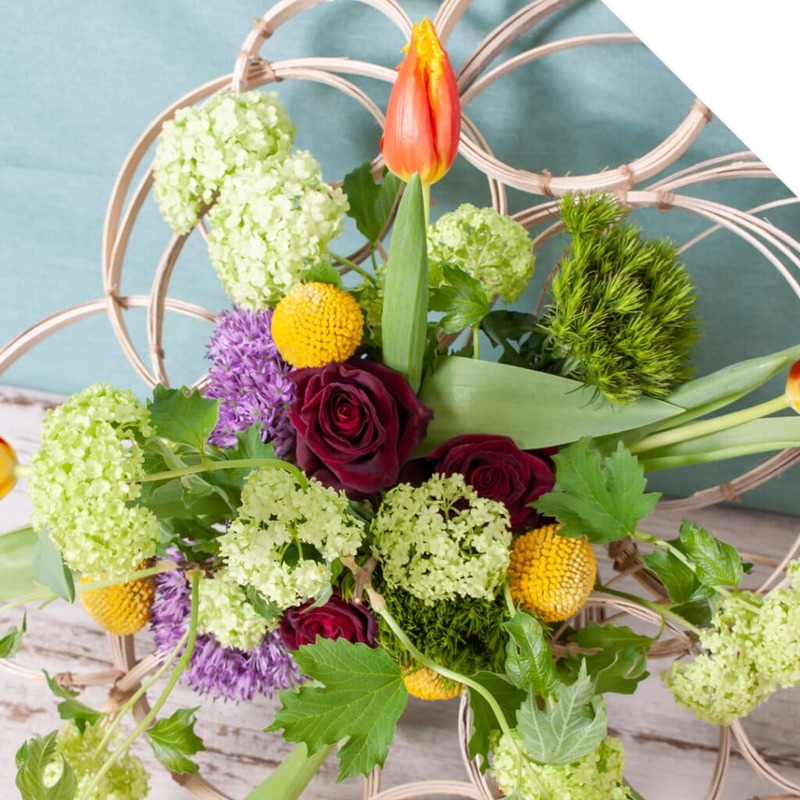 Watch the tutorial and order these great products in our webshop now! Take a long stem of Ruscus and remove most of the leaves from the bottom end up. Leave most of the leaves on the top. Now take a rose, cut the stem at approx. 4 cm from the end and lay it against the stem of the Ruscus. Do the same for a Gypsophila stem. Next, take the iron wire and wind the stems tightly together. Continue step 2 with the Roses and Gypsophila. Make the garland the desired length that you want. When you’re near the desired length, repeat step 1 and make this the end of your garland. Fill up with the last of the Roses and Gypsophila. Any iron wire that is still visible can be covered up with the floral tape. Your romantic garland with Roses is now ready!